It’s time to try some new things in the kitchen. I’ve been cooking the last few nights (we usually cook together) and made a winter couscous with bacon, mushroom linguine and Gong Bao chicken with rice. 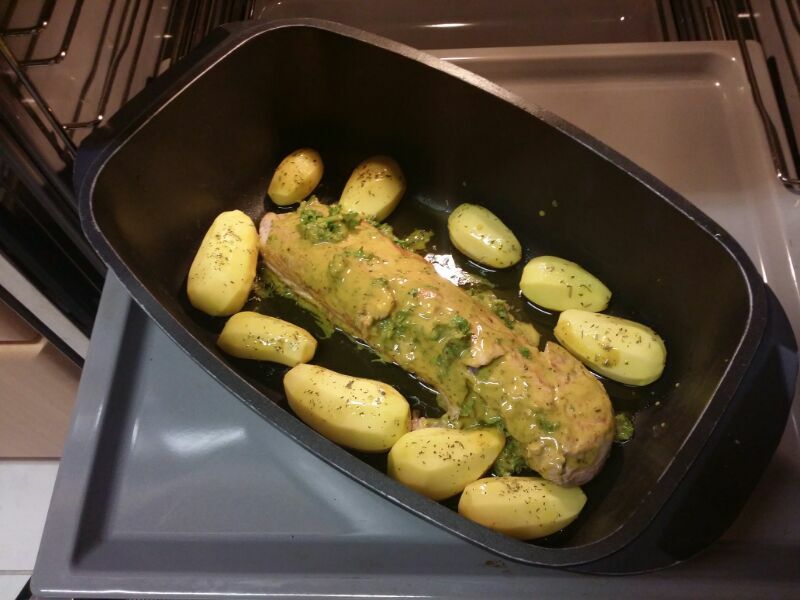 Pork fillet is delicious and if you put it in the oven for the right amount of time, it remains juicy and tender. 1. Preheat over to about 180-200 degrees. 2. Heat oil in a pan and sear the pork fillet from all sides, sealing in the juice of the meat. 3. Mix the herbs, honey, mustard, pressed garlic, vinegar, tabasco, some oil (depending on how much meat you have) into a paste. 5. Put in the oven for about 20 minutes. About halfway through you can get a brush and put some of the oil and sauce back on the meat. The pork will need to be removed after 20 minutes so that it doesn’t dry out. It should be a bit crispy if possible. 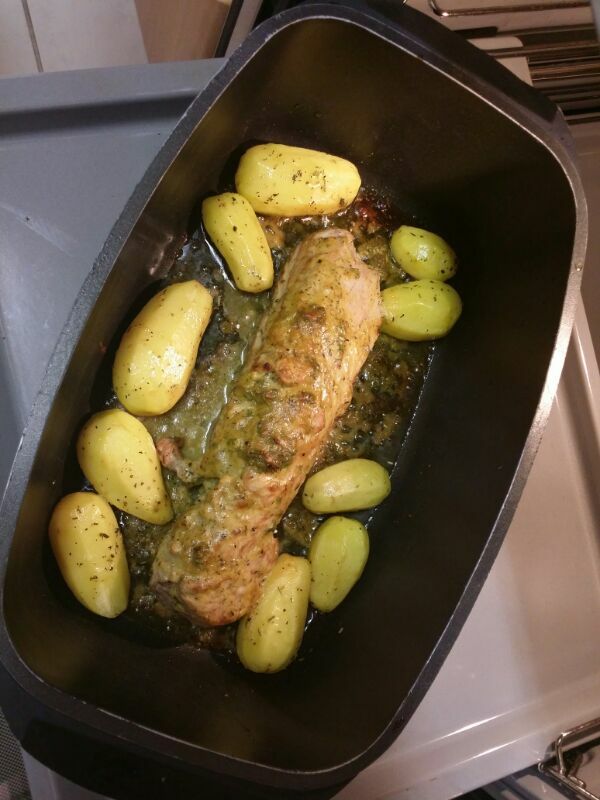 The potatoes can be left in the oven while you cut the meat into smaller pieces.